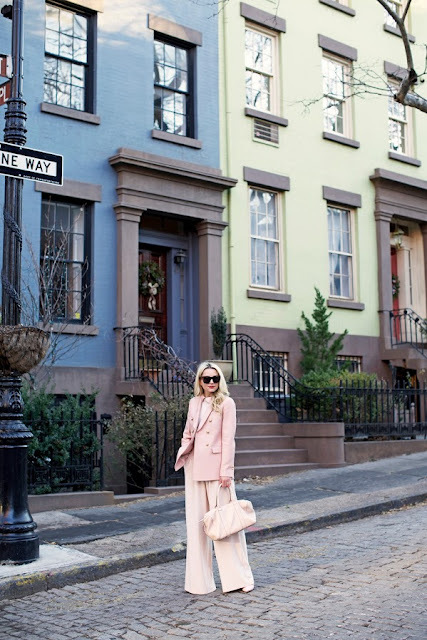 Pastel pride by Atlantic Pacific : Blush Blazer. Pants . Sweater Fur Scarf. Sunglasses: Celine. Bag: Tory Burch. Pumps: Banana Republic. Read about blogger style plus more fashion trends and style tips. See what the most stylish celebrities are wearing and how to re-create their looks.